Just putting this out there in a very quick fashion, folks. Last weekend I took to Kentish Town to dine with Lady Day. She sort of rules the area and spends most of her time, while not busy ruling the roost, in Pizza East. 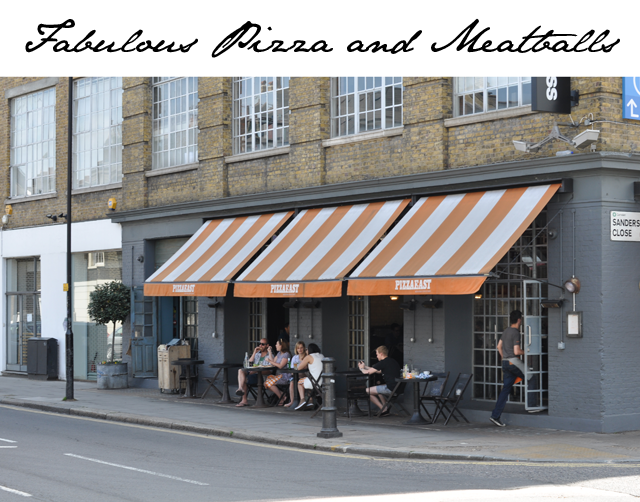 Coincidentally, Pizza East is also flanked by Dirty Burger and Chicken Shop, but more on that later. Lady Day and I were meeting for Sunday brunch and we decided to abandon the traditional roast and head for an Italian motif instead. 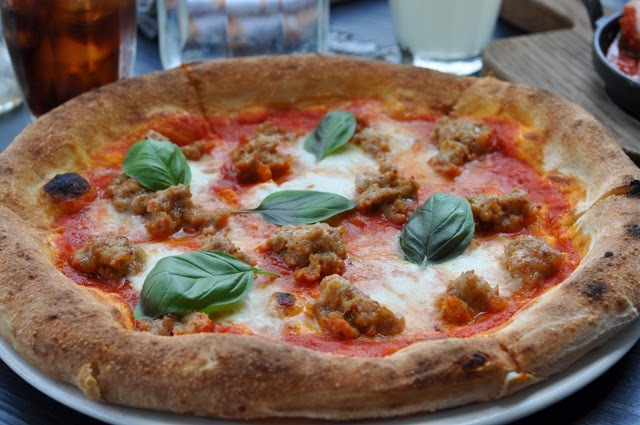 Enter an afternoon of pizza and meatballs. Need I say more about this experience? I think the pictures above speak for themselves. 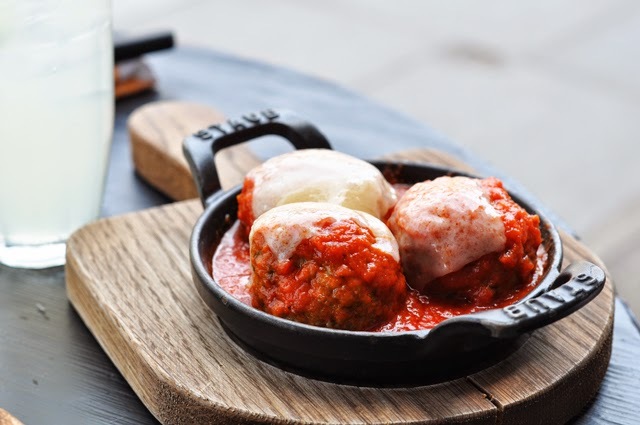 Gorgeous meatballs arrived that were as big as a fist, covered in rich marinara sauce and smothered in mozzarella cheese. They went down faster than a bag of m&ms in an elementary school classroom. Then came the pizza. Naturally, a place named after pizza must have some of the best pies in the business. All too often these days that is not the case. However, I'm happy to report that Pizza East is marvelous from start to finish. There's just the right bread to cheese to sauce ratio, which makes this a heavenly indulgence for any day of the week. That being said, I think this might just become our regular Sunday engagement.